CARFAX 1-Owner. FUEL EFFICIENT 24 MPG Hwy/17 MPG City! 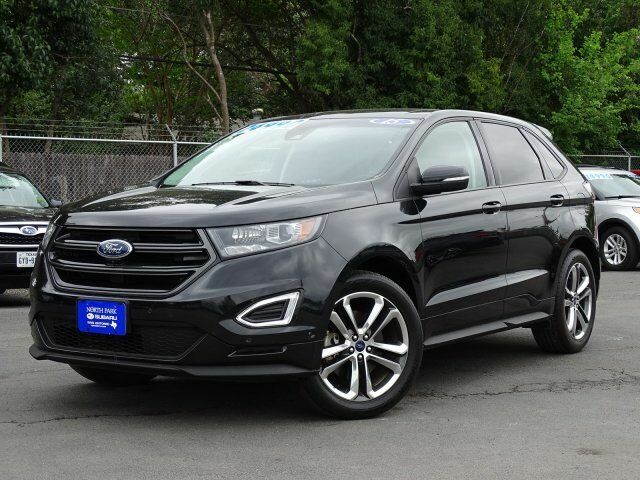 Navigation, 3rd Row Seat, Bluetooth, Flex Fuel, Rear Air, EQUIPMENT GROUP 202A, POWER LIFTGATE, VOICE ACTIVATED NAVIGATION SYSTEM, BLIS PLUS INFLATABLE REAR SEATBELT PA... AND MORE! Third Row Seat, Rear Air, Flex Fuel, Bluetooth. Rear Spoiler, Privacy Glass, Keyless Entry, Steering Wheel Controls, Child Safety Locks. EQUIPMENT GROUP 202A Radio: AM/FM Stereo w/Single CD/MP3 Capable, 6 speakers, media hub w/auxiliary audio input jack, 1 USB port and SiriusXM satellite radio, Note: SiriusXM satellite radio (48 contiguous states), Service not available in Alaska or Hawaii, Premium Audio System w/9 Speakers, Driver Connect Package, meteorite black center-stack, Auto-Dimming Rearview Mirror, SYNC w/MyFord Touch, 2 driver configurable 4.2" color LCD displays in instrument cluster, 8" LCD color touch-screen in center stack, 2 USB ports, SD card reader, 5-way controls located on steering wheel, 911 assist, Vehicle Health Report (VHR) and SYNC services (traffic reports, GPS based turn-by-turn directions and information services), Note: SYNC services include a, WHEELS: 20" POLISHED ALUMINUM Tires: P255/50R20 AS BSW, VOICE ACTIVATED NAVIGATION SYSTEM in-dash screen, single CD/MP3 player, SD card for map and POI storage and integrated SiriusXM Traffic and Travel Link, Note: SiriusXM Traffic and Travel Link, Service not available in Alaska/Hawaii, BLIS PLUS INFLATABLE REAR SEATBELT PACKAGE Inflatable Rear Seatbelts, 2nd row outboard seating positions, BLIS (Blind Spot Information System), Cross Traffic Alert, POWER LIFTGATE. Edmunds.com explains "Materials are attractive and luxurious, with a soft-touch dashboard and precise-feeling controls. The front seats are very supportive Great Gas Mileage: 24 MPG Hwy.